With the continued growth of the human population of the Earth, there is increasing concern with the planet's ability to provide sustenance for all of its inhabitants. 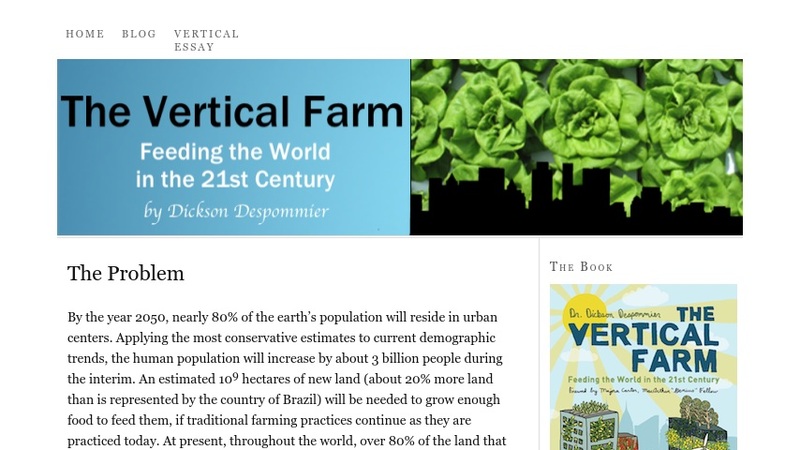 This compelling website by Dickson Despommier and his colleagues at Columbia University provides a worthy alternative to other forms of agriculture: the vertical farm. As Dr. Despommier notes on the site, "..they offer the promise of urban renewal, sustainable production of a safe and varied food supply (year-round crop production), and the eventual repair of ecosystems that have been sacrificed for horizontal farming." The site offers a great deal of information about these vertical farms, a detailed essay on the importance of such farms, a number of potential designs, and a discussion forum. Finally, there are a number of plans that indicate how this type of farm might be effectively created and sustained.